In joining the Good Day Chicago team, Kori Chambers has gone from Michigan to Michigan Avenue. 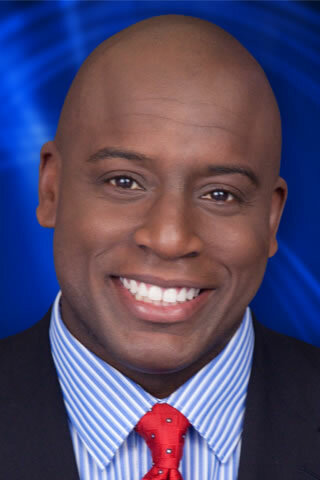 He joined Fox Chicago after three years as an anchor and reporter for WDIV in Detroit. He has also worked for televisions stations in Las Vegas and Springfield, Massachusetts. Chambers co-anchors Good Day Chicago weekdays from 4:30 to 7 a.m. Chambers is thrilled to make Chicago his home and believes very strongly in supporting and giving back to the community. In fact, while in Detroit, he was recognized for his volunteer work in the classroom. He created and taught a media course that used journalism to reinforce the fundamentals of reading and writing to city students. Chambers is already trying to make a difference here in Chicago. His first order of business: a series of daily stories that will highlight the efforts of volunteers across the area. You should look for them soon. In his spare time, you’ll probably find Chambers eating. Really. He says he’ll try just about “anything and everything”. That’s just one more reason he’s happy to call Chicago home, with all of it’s world-class dining.